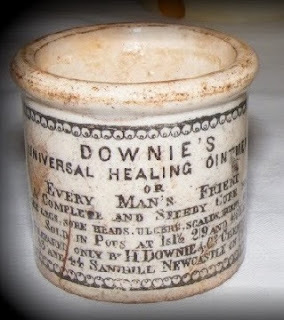 Even today, new pots are being discovered . 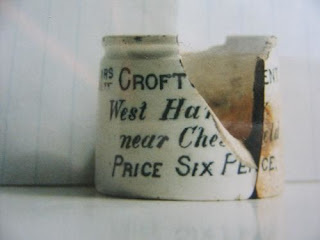 In fact during the last quarter of 2010 a new glazed pot was discovered at a car boot sale. 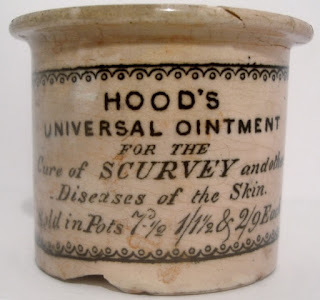 The pot, which originated from a London based retailer, 'Riches', held a Renovating & Sanative Ointment. 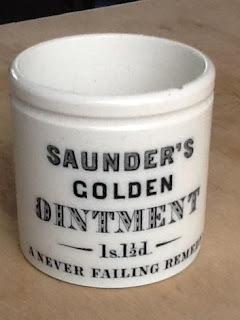 During 2012 the Saunders Golden Ointment appeared for the first time. 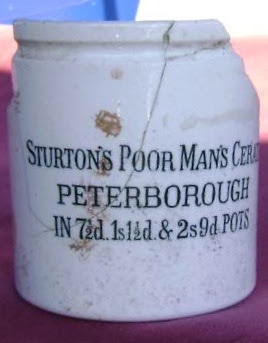 So there must be more pots out there waiting to be discovered ......... so diggers get hunting! 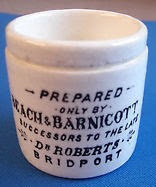 I would be interested in adding pots to my collection that I do not have, and also unusual variations of existing pots. 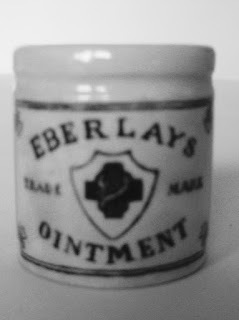 please contact me with details and perhaps some photos. 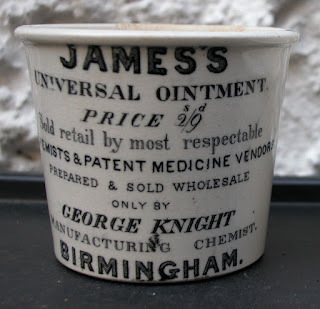 Hereunder are details of Victorian Ointment Pots that I would particularly be interested in acquiring for my collection. I am always interested in adding Ointment related Pot Lids to my collection. 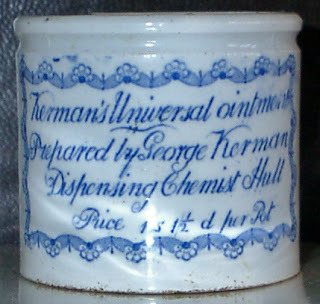 with details and perhaps some photos.